After receipt of the form, we can arrange for a suitable time for you to visit the dogs at the shelter. Please note, that we perform a home check to ensure suitability before the adoption is approved! 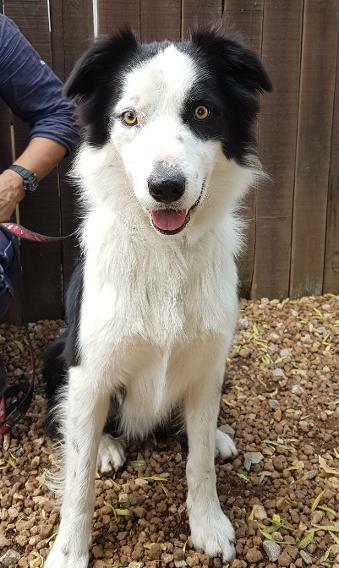 Anyone interested in adopting a Border Collie and that has not previously owned a Collie, should please do extensive research on the breed to ensure that this is the right addition to your family. 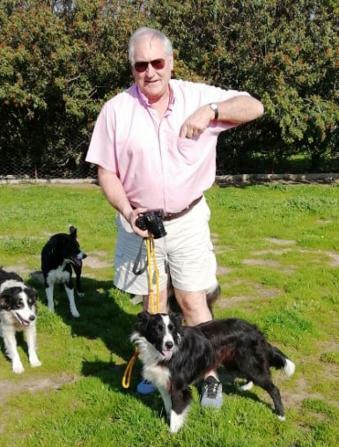 * The adopted Collie must be allowed to be part of the family, have access to the house and sleep indoors. * The adopted Collie must be fed a veterinary food (and not a supermarket brand). There are quite a few products available and not all are extremely expensive. * The adopted Collie must receive regular, good quality flea and tick control (like Bravecto). * The adopted Collie must be vaccinated annually. * Depending on energy levels, the adopted Collie must be exercised at least once a day. 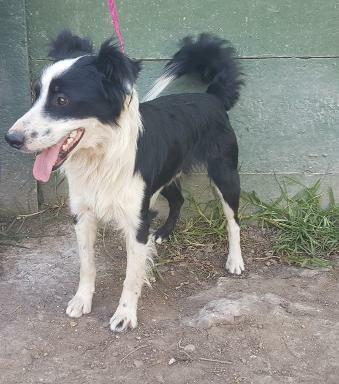 The adoption fee is R800 and includes the sterilisation, innoculations and deworming of the Border Collie. The adoption fee for puppies is R1000 and includes the sterilisation at 6 months, as well as relevant inoculations. 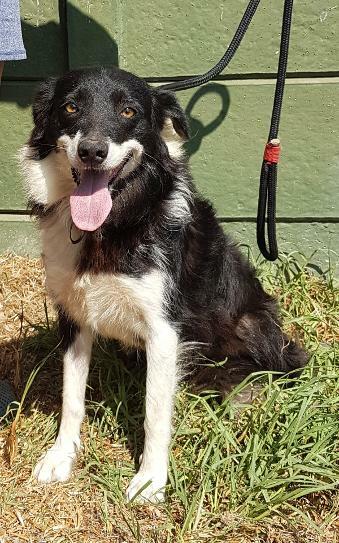 All the photos of dogs on this website are the property of Border Collie Rescue and may not be used for any purpose other than networking to assist in finding new homes. The explicit consent of Border Collie Rescue will be required for any use of material and pictures, other than that permitted through the above. 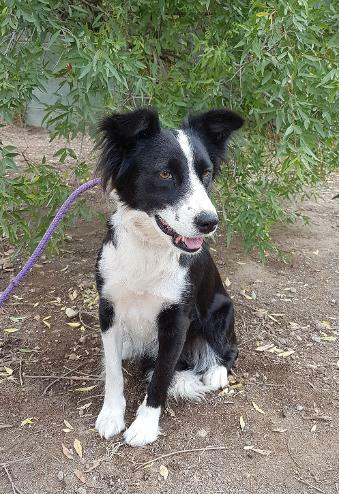 female Border Collie, DOB +/- February 2015, very loving and sensitive girl, who did not get much attention or love up-to-now and deserves a home that can show her a true Border Collie life! She is good with other dogs and good with cats. 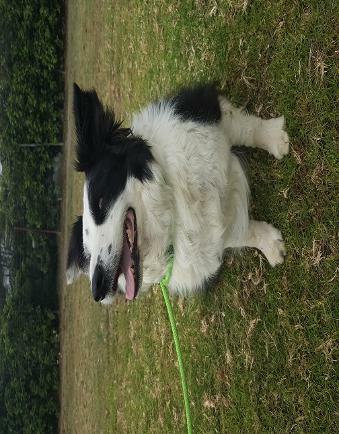 male Border Collie, DOB April 2013, Sharky's owner has fallen ill and can no longer take care of him. He is house-trained, great with children and we can cat-test him. Sharky does not do his name any justice, he is a little cuddle-bug with humans! Sharky needs to be homed as an only dog or with a very passive/submissive female. 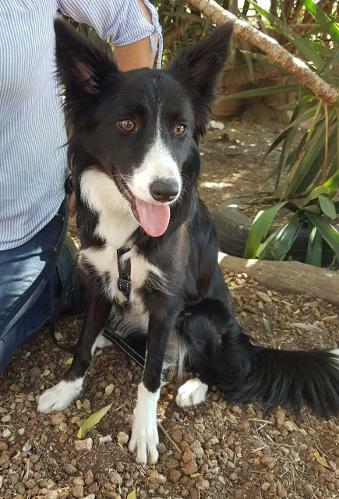 11 month old, female Border Collie, sterilised and vaccinations up-to-date. 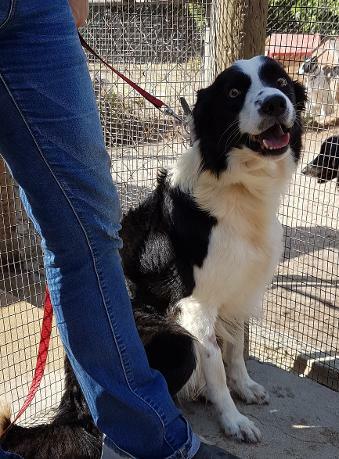 Mila was sadly surrendered as her owners under-estimated the challenges of raising sibling Border Collies. Her brother has since been homed, but we are still looking for a new family for Mila. 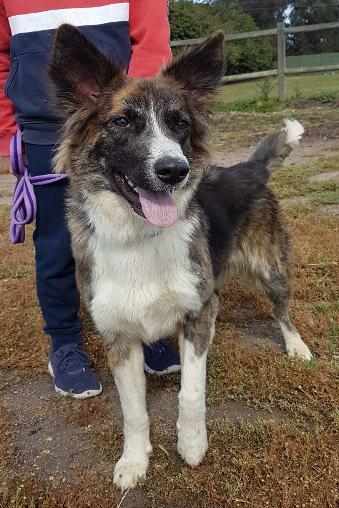 She is a very energetic girl and will need a large garden and an active (daily exercise) family, who will allow her to become part of all aspects of family life. DOB August 2014, female Border Collie. Millie is a lovely and playful girl, that gets along with all the dogs in the pack. She is active and we'd love a home with space and daily exercise. DOB October 2012, tri-colour female Border Collie. Maggie is energetic and playful, to the point where she can be a bit overwhelming for other dogs. We'd ideally like to home her with a male companion who is not reactive. 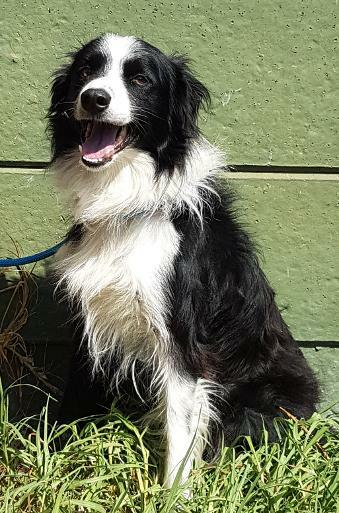 male Border Collie X, DOB March 2015, was brought in with his brother Socks after they were abandoned. They have grown up on a farm, so love the space and off leash runs, but have had training with us to fit into family life. They are good with everything that moves and breathes. Senna needs a secure property. 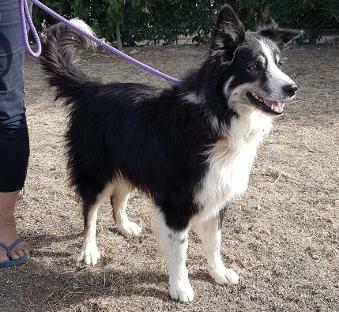 Mature female Border Collie X who has been boarding with us for 3 years while her owner underwent rehab. Unfortunately he has relapsed a number of times, so it was decided that Dew can be re-homed. 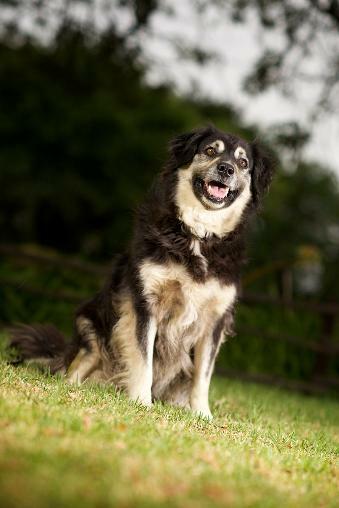 She would suit an older person as she is loving and gentle, but also still alert and up for a daily walk and playtime! Dew came in with a rescue Africanis puppy, who has been her friend and companion through all these years. They need to be adopted together. The following dogs are permanent residents at the shelter and not up for adoption/only able to go to very specific homes as indicated. 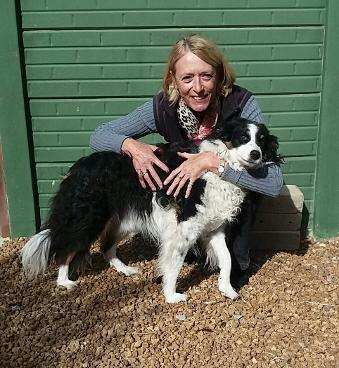 Collies become permanent residents when their specific history and circumstance do not allow them to be homed, even after extensive rehabilitation. For these Collies we hope to get a sponsor, someone that can help us with their food, vet and treats bill. Maybe also someone that can come and visit every now-and-again to be with their sponsored "child". Here she is with her very kind sponsor - thank you Gerrit! 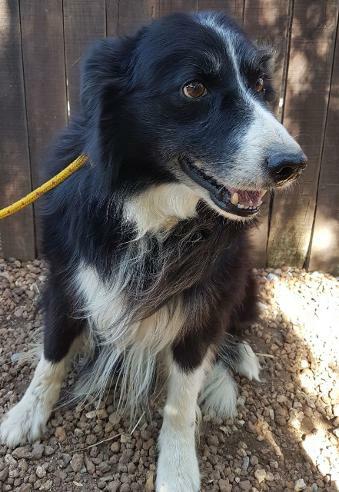 Male, 10 years old, Border Collie with a beautiful, long coat. Danny is sterilised and inoculated. 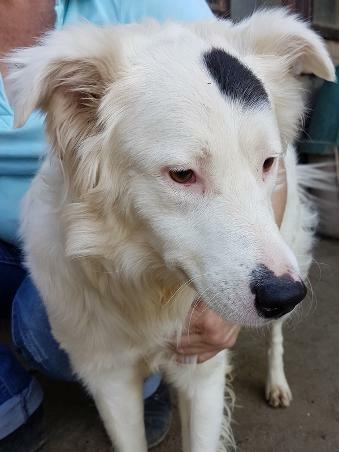 He is a very soft-natured dog and could do with some confidence building, Danny gets along with all dogs and we feel would be good with cats too. We believe Danny was often handled very heavy-handedly on his collar, as he does not like being touched there at all. He also needs to be sedated for us to groom him, he cannot be touched on his behind. This poor boy has gone through enough and is now in a safe place that understands his limitations. 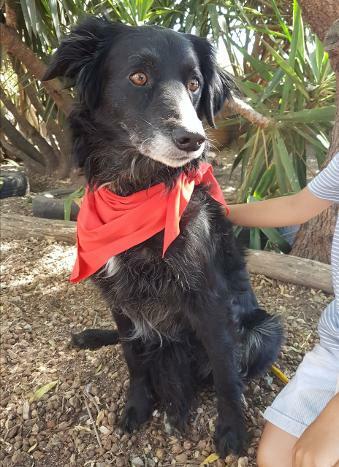 Male Border Collie X, about 9 years old, sterilised and inoculated. Sharky is an active and energetic dog that needs a large garden and plenty of exercise time. He would love the company of another dog and gets on well with both males and females. We have not had any applications for Sharky in all the years he has been with us. As a result this boy has become a permanent resident. 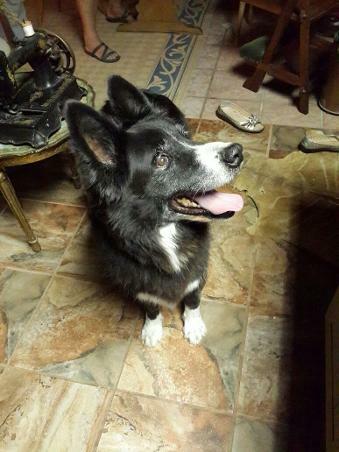 Male Border Collie cross, about 9 years old, neutered and vaccinated. Blackie was surrendered when his people moved without him. He is a big softie, great with other dogs and great with children (as you can see from my little helper). We'd love to find him a retirement home. He can still go for walkies and is house trained, so will easily slot into an easy-going home. Monty is an old boy who has found himself homeless after his people moved to a flat. He is a friendly gentleman, by no means geriatric and gets along well with other dogs. We would love to find him a retirement home, if not he will stay a permanent resident at the shelter. 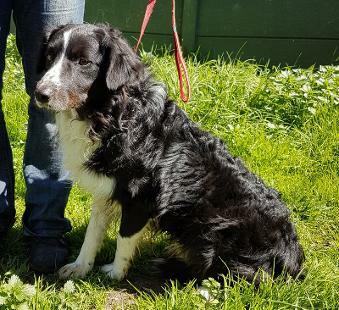 8 year old tri-colour Border Collie male with just the most gorgeous curly coat, neutered and inoculated. Finn is a gentle and loving dog that gets on well with all the others and is extremely intelligent and obedient. He is an ex-service dog and is retiring with us. Special needs female, 10 years old, brown & white, sterilised and inoculated. Lunar is very shy and nervous of people as she was raised in a backyard without human contact before she came to us. Up-date: Lunar has come such a long way... She has started to really come out of her shell! We have decided that it would be best for her to become a "permanent resident" and are desperately looking for a sponsor for her. NEW Up-date: Guess who came to greet me at the gate today and allowed me to walk up to her and rub her ears! This is so amazing and this girlie has turned a real corner - YAY! 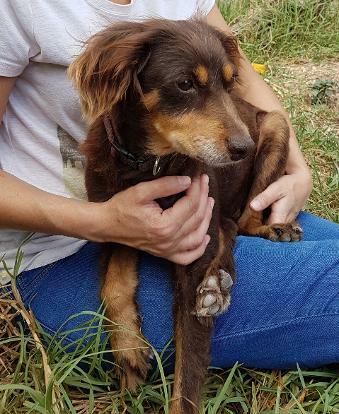 Special needs male, 6 years old, mostly black, sterilised and inoculated, smaller Collie X. Mr Bear comes from what we believe was an abusive and unstable home. He was extremely scared and hid away from humans. He has made such amazing progress and needs a home that understands his background and will allow him time to settle in. Until we can find such home, Mr Bear needs a sponsor as a permanent resident at the shelter! Look at the cute photo which I took sitting down and allowing him to come and greet me! DOB February 2011, female Border Collie. Lady and Snowy are sisters and have lived together all their lives. There is no sibling rivalry, so we'd be open to home them together. Snowy is loving and gentle and loves a good cuddle. She is house-trained and used to sleeping indoors. She is good with other dogs. We can cat test her, we think she'd be good with cats. male, DOB +/- February 2017, surrendered to another organisation and now with us at the shelter. TinTin is one amazing boy, great with the other dogs and very eager to please his humans. 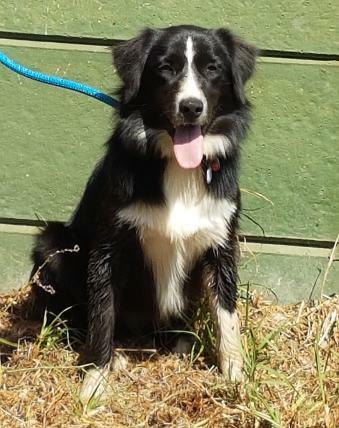 He would be a fantastic first time Border Collie, as he is not overly energetic and would fit easily into family life. Milo, male Border Collie, DOB 2016. Milo originally came to us for some rehabilitation and training, but we have been asked to find him a new home. 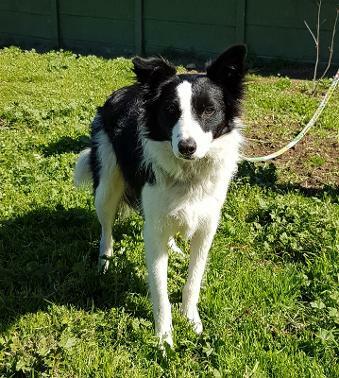 Milo is a energetic Border Collie that will require an owner that knows the breed well, is prepared to continue the training with him. Milo is also very loving and attaches quickly to "his" person. We'd love to find him a home as an only dog. 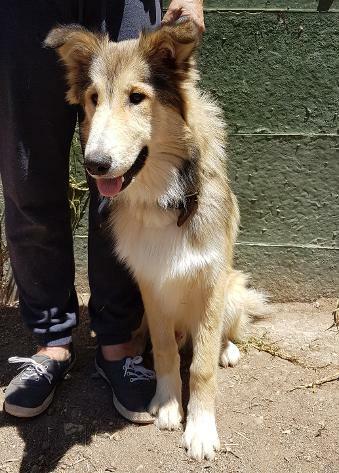 He is an absolute beauty, so we hope we can find that special person for him! estimate DOB 2010, female Collie X long-haired Dachshund. Lucy is lapdog size and just the cutest and most laid-back lady ever. She came to us in a terrible state, having had puppies recently and not being cared for. But, she has recovered beautifully, has regained weight and her coat is growing back. She is ready for a new home, where she can just be someone's companion. DOB June 2016, female Border Collie. Sokkies is a small girl, only about knee height. But what she hasn't got in size, she has in personality. She is full of beans and loves to run and play. She is very loving towards humans and obedient with commands. She gets along well with other dogs, but we'd prefer to have her with a male companion. She has grown up with kids, but her new home has to have humans older than 9 years only. 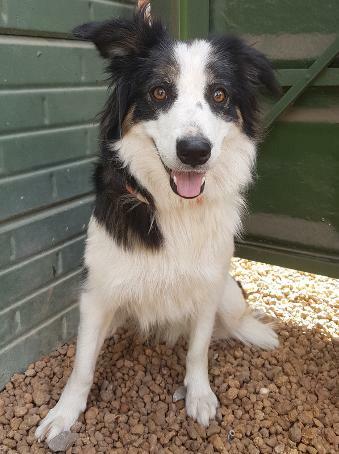 DOB July 2016, male Border Collie with a smooth coat and beautiful, tri-colour markings. 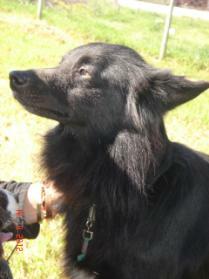 Wolf's family has fallen on very hard times and he was surrendered to us for rehoming. He is a medium energy boy who just looooves people and would happily crawl onto your lap for a good cuddle. He is good with other dogs and has grown up with kids. 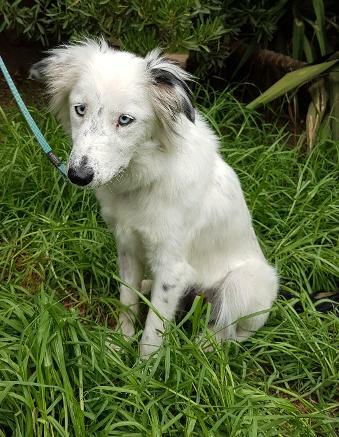 DOB August 2017, female mostly white Border Collie with beautiful blue eyes. Phoebe is deaf and needs a very special home. Before applying for this special-needs girl, please do your homework on what it means to own a deaf dog. We have good experience and can help with advice, we have also successfully homed quite a few deaf dogs over the last few years, so it can definitely work! Phoebe is is quite a busy girl but also loves a good cuddle. She is good with other dogs and we'd prefer if she had a companion that she can connect with and follow. male Rough Collie X, DOB June 2018. Bobby and his sister Vicky were recently surrendered as their owner under-estimated the energy levels and training requirements of the breed. Bobby is still very much a puppy and we'd like to home him to a family that knows the breed and is committed to do the exercise and training. female Rough Collie X, DOB June 2018. Vicky and her brother Bobby were recently surrendered as their owner under-estimated the energy levels and training requirements of the breed. Vicky is still very much a puppy and we'd like to home her to a family that knows the breed and is committed to do the exercise and training. DOB 2010 male Border Collie, neutered and vaccinated. 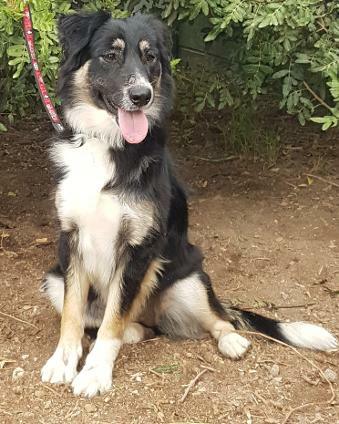 Dexter is a fantastic boy and would be an amazing first time Border Collie. 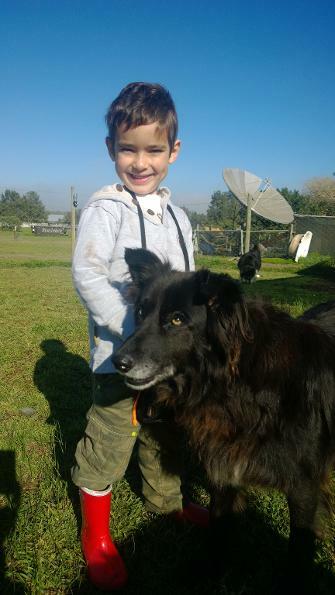 He is great with the other dogs, good with cats and fine with older children. He is active, but not manic. He is house-trained and obedient. Just a great all-rounder. DOB February 2011, female Border Collie. Lady and Snowy are sisters and have lived together all their lives. There is no sibling rivalry, so we'd be open to home them together. Lady is loving and gentle and walks beautifully on a leash. Lady is house-trained and used to sleeping indoors. She is good with other dogs. We can cat test her, we think she'd be good with cats. 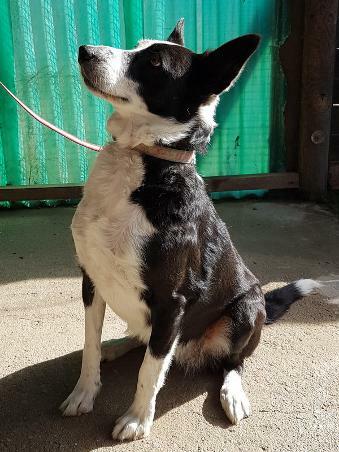 DOB approx mid 2017, male Border Collie cross (Fox Terrier maybe). 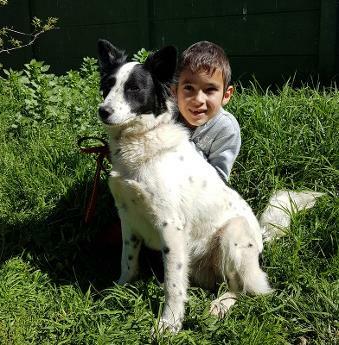 Flash was found as a stray in Stellenbosch and never claimed. He is only about knee height and very cute! He is a happy-go-lucky chap and would do well in a household with kids and where there is action and stuff to do. He is good with other dogs. Male Border Collie born in December 2015. Thunder is really not happy at the shelter and we'd love him to find a home quickly. He needs an experienced Border Collie owner that can train and direct him without too much force. He needs a home without cats. DOB estimated as 2014, male Collie X, neutered and vaccinated. He was rescued out of horrendous circumstances with raw burn wounds on his back. They have healed beautifully (although the scars remind us of his prior life daily) and he is ready for a new home. He is totally "bullet-proof", i.e. fantastic with dogs of all sizes, cats and lifestock. He is loving towards humans and great with kids. Just an all-round perfect doggy that needs a second chance. DOB 2015 year old male Border Collie with quite unusual colouring. Spot was taken off the streets by another organisation, who asked us for help with his rehoming. 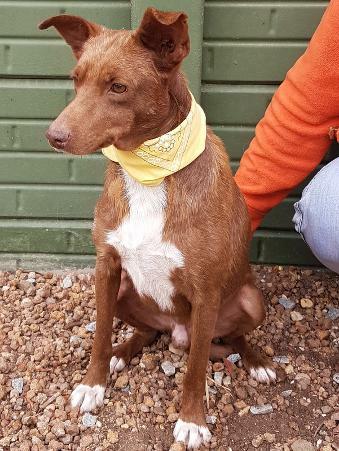 He is a beautiful and loving boy, but will need a very secure garden (ideally with electric fencing) as he has not quite learned that roaming the streets is no longer an option. He gets on well with the other dogs and we think he should be fine with cats too given his background. Female Border Collie with an unusual white face and one blue eye, born in 2015. Bella was surrendered with her brother Max, as the owner cannot offer them the exercise and time they require. 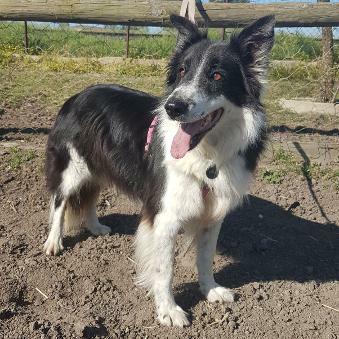 Bella is a lovely girl, quite laid-back for a Border Collie and sometimes a little bit shy. She is great with other dogs and with kids, but doesn't know cats. 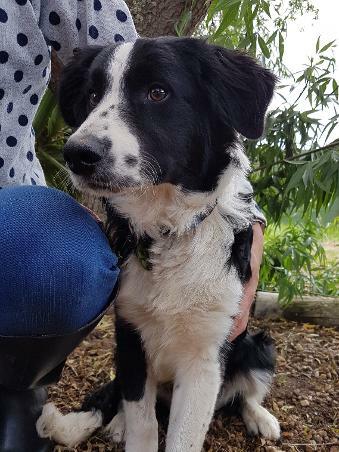 Male Border Collie, born in June 2017, so only just a baby still. He came in with his sister Zoe. They were surrendered by a security company as they did not show sufficient "drive". 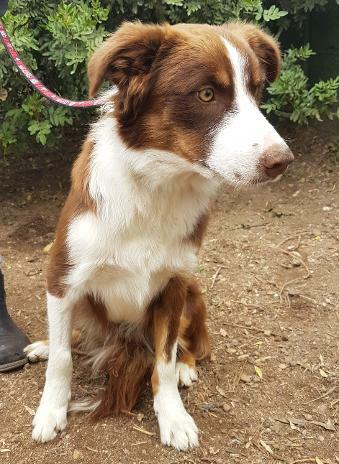 Makosi really needs a home that can show him what it means to be a Border Collie. He needs confidence (he currently melts into a big puddle, desperate for attention) and needs to learn how to play and run. He also needs to learn basics like recall and sit and wait. 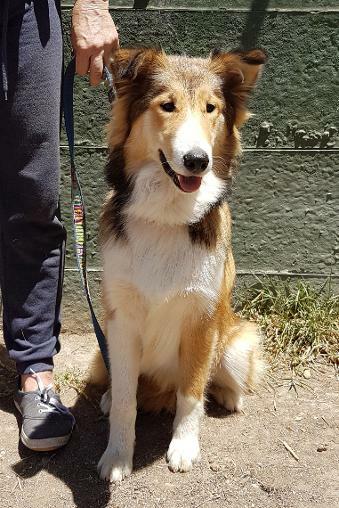 Female Collie, born in March 2016 and is a knee-height Collie girl with a tri-colour coat. Dusty plays really nicely with the other dogs and also LOVES playing ball. She is good with children, but chases cats. 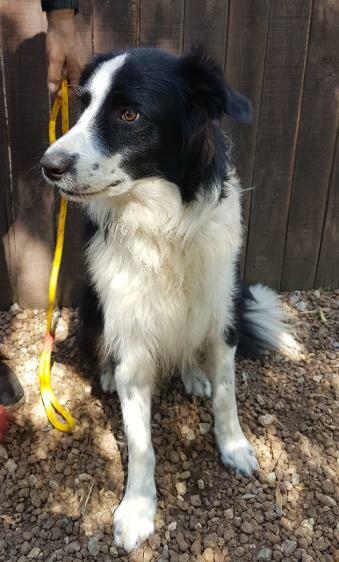 Male Border Collie, DOB 2007. Rocky's owner was sadly evicted from his property and so this old boy had nowhere to go. He is a stunning soul, loving and happy, that tail doesn't stop wagging. It took all his will-power to not come and lick me during the photo session. Rocky still loves his ball and is by no means geriatric. Please offer him a retirement home! 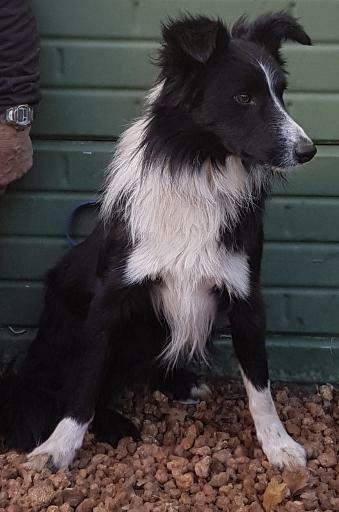 Female Border Collie, born in June 2017, so only just a baby still. She came in with her brother Makosi. They were surrendered by a security company as they did not show sufficient "drive". 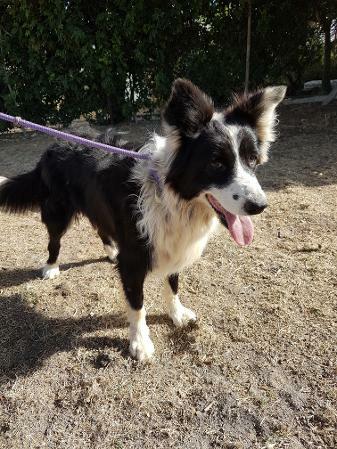 Zoe really needs a home that can show her what it means to be a Border Collie. She needs confidence (she currently melts into a big puddle, desperate for attention) and needs to learn how to play and run. She also needs to learn basics like recall and sit and wait. 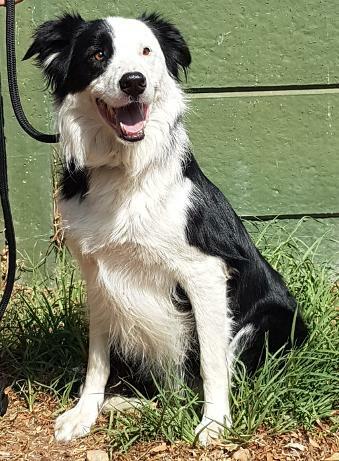 Female Border Collie, DOB April 2017. 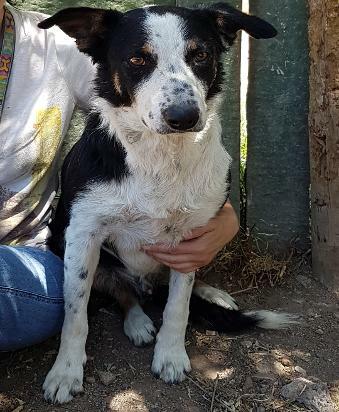 Gemma is a smallish Border Collie with a lot of "umpf". She is playful and energetic and interested in everything. She is great with other dogs, as long as they can tolerate her energy. DOB 2015 Male Border Collie with very classic markings. he was a reluctant surrender, his owners felt that their garden was not big enough for this boy and that he deserved better. Selby gets along with all the dogs in the pack, he plays ball and is just generally a great dude. He must be part of the family and we want him (like all our other dogs) to sleep indoors. 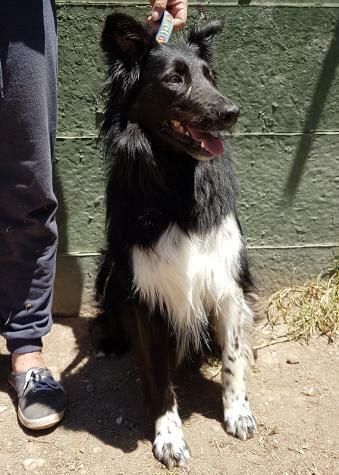 Male Border Collie, DOB approximately 2015, found as a stray and never claimed. He is a soft-natured boy, never making a fuss and is just gentle and kind. He gets on well with all the other dogs and we think he'll be fine with cats also. 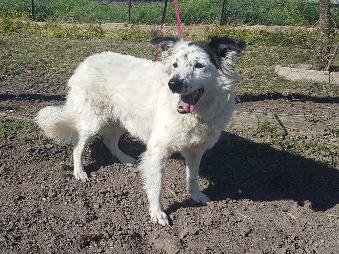 Female Border Collie X, DOB approximately 2013. This little girl has not had a great start to life. She has gotten out of her property a few times and no one really cares. This last time her owner simply did not want her back. She is a small girl (knee-height), quiet and soft and gentle. She lapped up the attention in a very undemanding way. She is good with dogs and cats. DOB 2015. 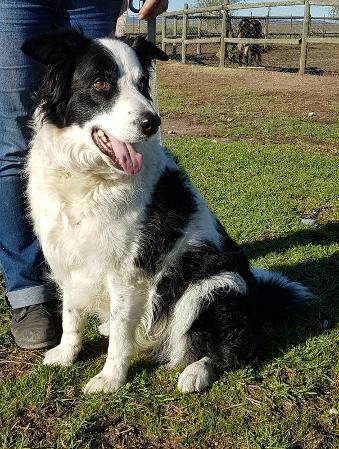 Zita is a gentle and loving Border Collie x girl, about knee-height. She gets along with all the other dogs and is fully house-trained. She travels well in the car and is just no hassle at all to have around. DOB 2015 - Obelix was a very reluctant surrender. His owner has fallen ill and can no longer take care of him. He is very friendly and loves to lean into you. DOB April 2017 Male Border Collie with cute freckles, about knee-height. His owner fell ill and was advised to rather rehome him. He is a happy and energetic little boy that is great with the other dogs in his group. He will be good with kids and we think he'll be fine with cats too (we can test this). 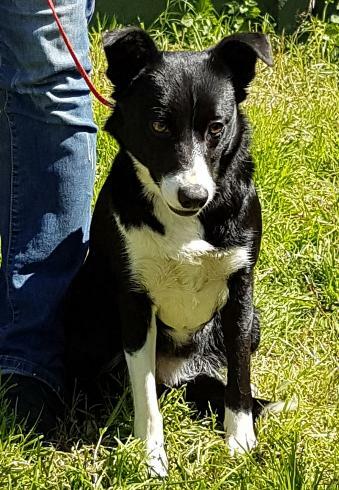 4 year old female Border Collie. Sophie and her sister Skye were the sad victims of a divorce and although their owner tried hard, he could not find a solution that included them. She is very good with other dogs and children, but does not do cats. She is an active and energetic girl that will need daily exercise and plenty of action. We also feel she would benefit from obedience or puppy training classes to channel some of the energy. She is house-trained. Male Border Collie X with just the most beautiful nature. He is still a very young boy that was rescued with an embedded collar. He has recovered beautifully, with a shiny coat and no visible scars. He is the happiest chappy! He gets along with all the dogs at the shelter and is comfortable around kids (as you can see)! If you are looking for a settled, ready-made, no fuss companion and addition to the family, look no further! DOB 2017. 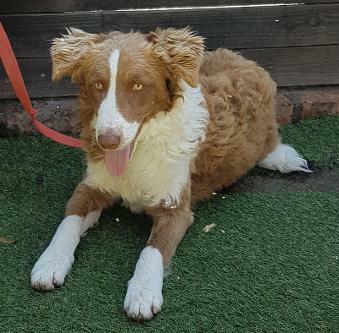 Toby is a red and white Border Collie boy with just the most beautiful and unusual curly coat. Toby needs some TLC, his coat is very bleached and he could use some extra weight. He is a very friendly boy, that was left outside and not exercised regularly. 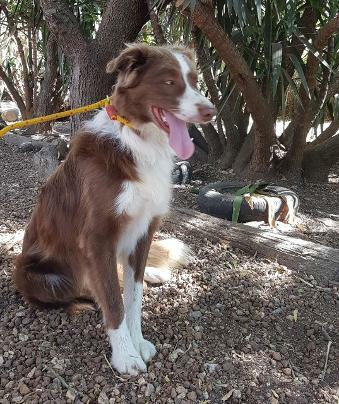 We have started with his training and he is ready for a new family. Could you offer this boy a second chance where he can be inside, form part of the family and get the right stimulation? 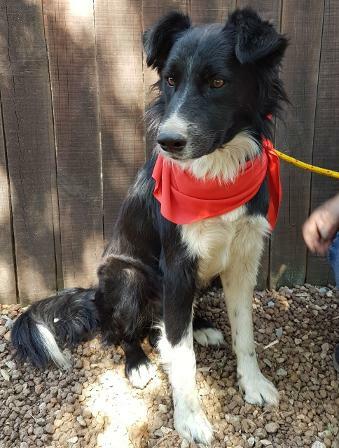 Male Border Collie, less than a year old and just the coolest dude ever. He was picked up as a stray and never claimed. Lazer is a busy boy that loves to be part of everything. He is good with other dogs and we'd love to home him with an active family.